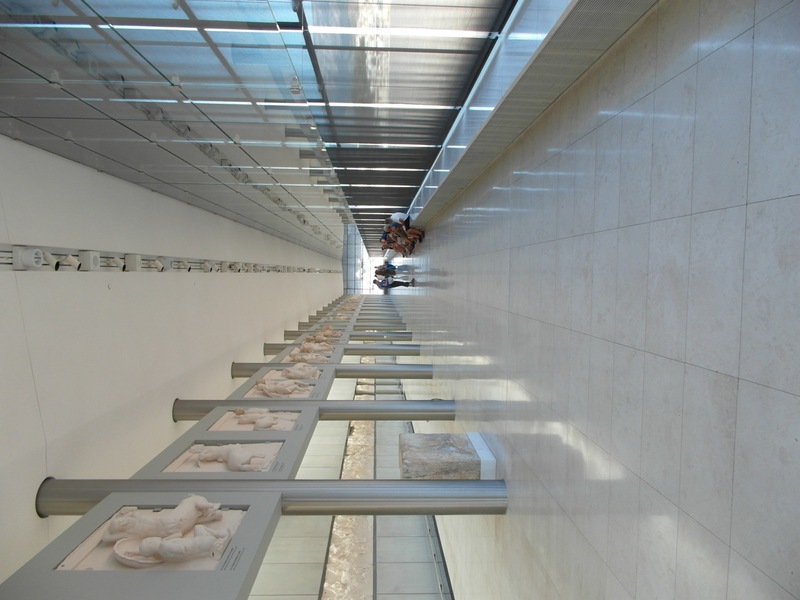 After years of announcements and embarrassing delays, the New Acropolis Museum—a $190 million spectacular building designed by Bernard Tschumi—has opened to rave reviews Yet the dramatic glass gallery on the top floor overlooking the Acropolis and facing the Parthenon still awaits its treasures. Built specifically as a catalyst for the return of the Elgin Marbles or Parthenon Sculptures, those controversial treasures that were— depending upon your point of view—either rescued or stolen by Lord Elgin during the Napoleonic Wars, the gallery is a physical embodiment of the passionate argument that the Greek government and its many allies in the archeological, artistic, and legal circles have waged for two hundred years. While it’s easy to side with the Greeks and decry the British as post-imperial pigs, it’s important to examine the complexity of the issue. In my novel Stealing Athena, I chronicle the journey of these sculptures from their inception in the Age of Perikles through their placement 2300 years later in the British Museum. Being intimately acquainted with the story and having taken up residency recently in London—and with apologies to all my Greek friends and readers—I have had a difficult time deciding which argument to support. 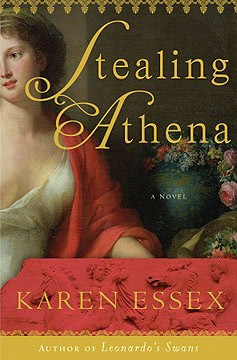 In the early 1800s when Napoleon was pillaging the treasures of Italy and Egypt for the Louvre, Lord Elgin, British ambassador to Constantinople, appealed—through his wife’s notorious female allure—to the Ottoman Sultan, occupier of Athens, to remove about half of the Parthenon’s sculptural decorations. Yes, Elgin was acting with the arrogance of empire and trying to beat Napoleon at his own game, but he and Lady Elgin were also deeply disturbed by the horrific condition of the Parthenon. The Turkish occupiers were grinding up its priceless columns and statues to construct rude huts, as well as selling chunks of the building to tourists and collectors eager to own a piece of it. The Elgins believed that if they did not act quickly, the Parthenon’s remaining sculptural wonders would soon be gone. With permission in the form of a still-controversial firman, Elgin used his wife’s money to remove the marbles and transport them back to England. After a series of disasters, including retrieving them from the bottom of the sea after a shipwreck, and following an exhaustive Parliamentary investigation to determine if Elgin had acted outside of the law, he sold the collection to the government. For the most part, the English have been excellent stewards of the marbles. The British Museum is free of charge and open every day, which enables both the average person as well as those with artistic or scholarly interest to have easy access to these treasures. True, they put the marbles through a cleaning process in the 1930s that may have done some damage, but that was the standard care of the day, hardly an intentional attempt at destruction. 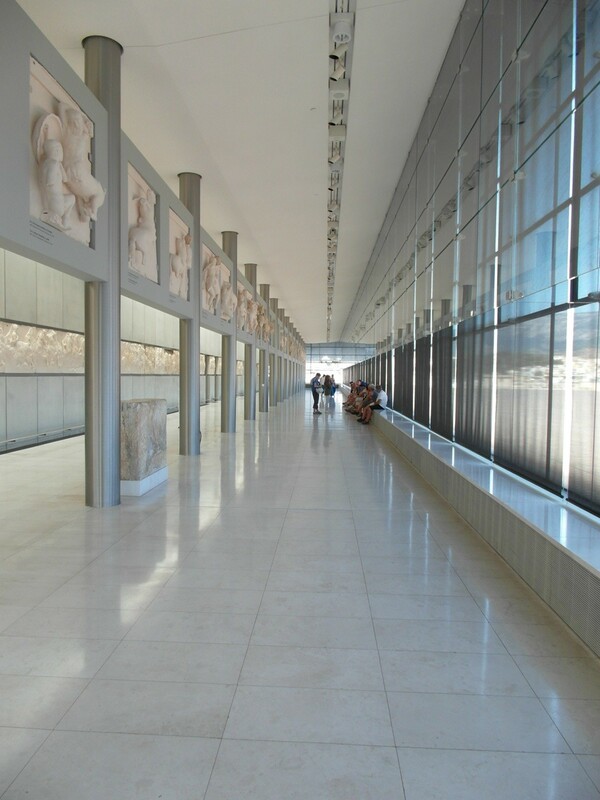 I, along with every single museum in the world—with the possible exception of the New Acropolis Museum—am also concerned that returning the marbles will open a world-wide Pandora’s box of demands upon museums to send back all artifacts to their countries of origin. As Americans, we must especially ask if we would welcome this. How would we feel if, say, the collection of the Metropolitan Museum of Art were reduced to—what? Some Navajo blankets and a few Edward Hopper paintings? And yet, one must keep in mind the singular meaning and relevancy of the Parthenon Sculptures to the Greek people. Perikles convinced the Athenians to fund construction of the Parthenon to commemorate Athens’ victory over the Persian invaders at the Battle of Marathon. Despite being hugely outnumbered, the Athenian army lost a mere 192 soldiers to the Persian casualties of 6400and gave credit for their unlikely victory to the goddess Athena. Had Athens lost that battle in 490 B.C., the entire story of Western civilization might have taken a different turn. Democracy, then in its infancy, may have been crushed once and for all and remembered as an historical footnote similar to other failed utopian experiments. In his famous Funeral Oration, Perikles laid out the tenants of democratic thinking and culture, stating that the Athenians did not need a Homer to tell their story; rather, “these imperishable monuments” would speak for the greatness of their civilization, culture, and way of life. In deciding the case of the Parthenon Sculptures we must ask not only the question of who owns art, but who owns democracy and freedom? It might be argued that the British have carried on these traditions through time with more efficacy and dedication than the Greeks. On the other hand, the British people—as opposed to the British Museum—seem determined to see justice for the Greeks. A recent opinion poll revealed that out of 99,340 people polled, a massive 91,822 voted in favor of returning the marbles. Cambridge University has hosted a debate on the issue, and the International Association for the Reunification of the Parthenon Sculptures won with overwhelming numbers. If the marbles are returned to Greece—and it seems to me that eventually, this will happen—it should not be done on the basis of returning “colonial booty,” as Elgin’s present-day detractors have labeled it. Nor should the return open the doors of museums worldwide and empty the galleries of non-native art. These sculptures are a unique and special case, symbols to the world of the greatness that may rise out of a society that values both art and freedom. The return should happen simply because it would be thrilling to see a now-divided architectural wonder made whole again.